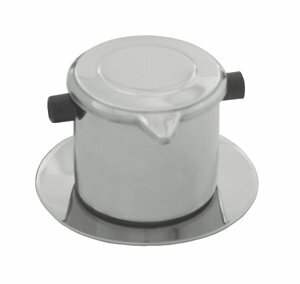 A Vietnamese coffee filter set is a highly portable coffee-making option due to its small size, light weight, and minimal pieces. It’s not just high portability that sets this brew style apart, though. When used properly, a Vietnamese coffee maker should turn out a completely distinctive brew. Falling somewhere between American coffee and espresso, Vietnamese coffee gets its uniquely strong flavor through a simple drip process that is as easy as it is satisfying. The holes on a Vietnamese coffee filter set are large by general coffeemaker standards, so a coarse grind is required to keep grounds out of your coffee. If you want to drink as the Vietnamese do, you can buy Vietnam’s top coffee brand Trung Nguyen online – click here. Alternatively, choose a dark roast, such as French roast, to get the best results. For the freshest flavor, opt for whole beans and grind at home just before brewing. 2) Remove the damper if it’s still on the filter. The damper is the secondary filter-like piece that comes screwed inside the filter (the cup part) of the coffee maker. 3) Add coffee to the filter. Like most coffee producers, Trung Nguyen recommends 1 tablespoon of coffee per cup of water. This means roughly 2 to 3 teaspoons for the majority of Vietnamese coffee makers. Move the filter back and forth gently to distribute the grounds evenly across the bottom of the filter. 4) Screw the damper back on. The secret to getting a good drip through your Vietnamese coffee filter is to get the damper positioned properly. The damper should rest directly against the coffee grounds without crushing them. The issue is how you go about accomplishing this when you can’t see the coffee below the damper. After a few uses, you’ll get a feel for how tight the damper should be. Start by screwing the damper down until you can feel the grounds start to impede it, and then give it a half a turn more. 5) Set the stainless steel filter on top of your coffee mug. Filters are designed with curved bottoms and rings to stay in place throughout the brewing process. 6) Bring one cup of water to almost a boil. Pour not-quite-boiling water into the filter until it is about a quarter full and let the water seep through the damper for about 30 seconds. After 30 seconds, add the rest of the water to the filter and put the lid on top to keep the heat in. Once you pour the water in, the brew process should take at least five minutes to extract the rich, full flavor characteristic of Vietnamese coffee. Peek under the lid during your first few makings to make sure the coffee is seeping slowly enough. If the water filters through in less than five minutes, you won’t be getting full flavor from the brew process. When the water filters too quickly, it means the damper was not on tightly enough and you should further tighten it during your next attempt at brewing. 8) Pour, soften and sweeten. You can drink Vietnamese coffee straight, and may find it extremely gratifying if you’re a person who also downs espresso shots. Traditionally, Vietnamese coffee is served with a sugary twist, though. Instead of American milk and sugar, Vietnamese coffee is typically tempered with sweetened condensed milk. The amount, of course, is dependent upon taste, but about 2 tablespoons is a good place to start. The condensed milk can be stirred into coffee at the end or added to the cup before step five. For a different coffee experience, try it like some Vietnamese coffee drinkers take it. Put the condensed milk in the bottom of the mug, brew the coffee, and drink without stirring. You’ll get the strong, bitter coffee first and finish off with an abundance of sweetness. When it’s hot out, try your Vietnamese coffee cold. Simply brew as normal, stirring the condensed milk into the coffee, and pour over ice. Burr or blade, the ongoing coffee grinder dispute. While burr grinders come out on top with a majority of coffee fiends, due to its consistent grind, a consistent grind isn’t always important. The right grinder has far less to do with its cutting process than it does with your preferred method of brewing. Before you spend more than you need to on a grinder, you should keep in mind that certain grinds work better for specific styles of brewers, and, in some circumstances a blade grinder may actually serve you best. French presses and cold-brew coffee makers work well with a large grind. French presses and cold-brew systems, on the other hand, work by maintaining contact between the water and grounds for a longer period of time, so the size of the grind matters less than in brew systems where coffee trickles through, or pushes up through, the grounds. The size of the grind created by a blade grinder depends upon how long the grinder is run. With these brewers that use larger grind sizes, the blades don’t have to run as long, which prevents scorching of beans and makes a blade grinder a rather effective option at a lower price. Of course, you can also set a burr grinder to a large grind for these brewers. Many coffee brewers work best with a medium grind, somewhere between the fine texture of pre-ground espresso and the larger texture found in most pre-ground coffee. Getting to this grind size is possible with a blade grinder, but the uneven grounds can make for uneven brewing. This is when a burr grinder comes in handy. Brewers that prefer a medium grind include commercial auto-drip coffee makers, automatic household coffee makers, Clever and Chemex coffee makers, and stovetop espresso makers. Automatic coffee makers, Clever and Chemex browers work in the same way, by pouring hot water over grounds, which gives the water limited time to extract the coffee flavor as it sinks through the coffee. A medium grind allows the hot water to extract enough flavor, without damming up water, which can cause prolonged extraction and lead to increased bitterness. A finer grind best serves brewers that need the coffee to dam up to ensure enough flavor extraction. Brewers that fit into this category include the AeroPress brew system, pump espresso makers, and one-cup pour-over systems. Turkish coffee requires the finest grind of all. These grounds are left in the boiled with the water, and left in the bottom of the cup during drinking. While you will always get a more consistent grind with a burr grinder, if you’re using an automatic, French press or cold-brew coffee maker, opting to use a blade grinder, whether automatic or manual, that you already have on hand can save you money. For any other brewer, the burr grinder is well worth the additional cost to get the perfect flavor. Coffee starts to go stale within two hours of grinding, so if you are buying coffee that comes ground, or grinding at the store, you are giving up all the flavor before you even brew up the first pot. Grinding at home on an as-needed basis keeps your coffee as fresh and flavorful as it can possibly be, and produces coffee that is fresher, smoother and overall tastier. There are a few different types of coffee grinders that work in different ways, some more effective for some types of grinds than others. Knowing the difference between grinder types, and what each type of grinder does best, helps ensure that you get the perfect grind every time you brew. The least expensive type of coffee grinder is also the least effective. It will cut coffee beans into pieces, sure, but the nature of the grinder means those pieces will be many different sizes, which can result in a less than stellar brew. A blade grinder looks much like a food processor. It has blades that spin and hack to chop the beans into bits. Just like with a food processor, the longer you run the grinder, the smaller those bits become. Generally speaking, 15 to 25 seconds of grinding will produce a coffee just right for automatic drip coffee. It is nearly impossible to get uniform grounds with a blade grinder unless you run it for several minutes. By that point, due to the fast whirring of the blades against the beans, the coffee may taste burned, and the grind will be no more than a powder that will clog most types of coffee makers. Since it fails to create a consistent grind, a blade grinder really only works well with paper filters in a drip coffee maker. For those looking for an inexpensive grinder, though, to make coffee in automatic coffee makers, a blade grinder isn’t a bad choice. More expensive than a blade grinder, a burr grinder uses a totally different technique to chop coffee beans. It’s the optimal choice for supreme at-home grinding. In lieu of plates, a burr grinder has two discs that rub together to perform the cutting. The beans are smashed between the plates, and changing the coarseness setting on the grinder moves the plates closer together or further apart, resulting in a finder or coarser grinder, respectively. Due to this, the grind is far more consistent. Imagine it like this. You’re making a pie with a graham cracker crust. Which works better? Cutting the graham crackers with a knife or crushing them with a rolling pin. A blade grinder is a knife. A burr grinder is a rolling pin. 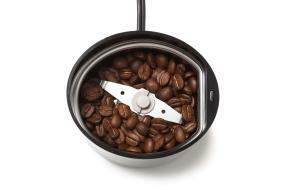 Since burr grinders create consistency, they produce good grinds for any type of coffee maker. This is the grinder you want to make good espresso. It’s just a matter of setting the correct coarseness for your particular type of coffee maker. Keep in mind that a smaller, more consistent grind means it takes longer for water to pass through, so if you’re used to a coarser grind, you’ll likely have to adjust the amount of coffee you use to get the taste just right. To make matters just a little more complicated, there are a couple of different types of burr grinder. In the wheel burr, the discs that do the cutting are flat. These discs in these grinders spin faster, which gets the job done more quickly, but also sacrifices flavor and makes the grinder run loud. On the upside, they are less expensive. In a conical burr, the discs are shaped like a cone. They spin more slowly, which makes the machine quieter and preserves more of the flavor of the beans. On the downside, they are more expensive. For flavor purists, there is no competition. The conical burr is worth the extra expense. If you are looking for a quality grind that upholds flavor at a cheaper price, though, the flat burr will certainly get the job done. Most manual grinders are burr grinders without the automatic function. They create consistent grinds, while providing you a simultaneous arm workout, and, since they have fewer moving parts than electric grinders, they typically hold up longer. A manual coffee grinder runs on your determination to drink a damn fine cup of coffee. You turn the crank, and, like a burr grinder, the plates inside spin against each other to create a consistent grind. The downside to manual grinders is they generally have only one setting – coarse. This make these grinders best for use with drip coffee makers. If you’re down with the drip, though, a crank coffee grinder is the most inexpensive burr you’re likely to find. If you’ve ever ground coffee at home, you’ve experienced that lovely waft that comes right after the grind, that “fresh from the bean” smell and flavor. While some grinders are better than others, it’s all right if it comes down to ease of use and budget in the end. Grinding at home creates fresher, more robust flavor than buying pre-ground coffee, whichever way you cut it. 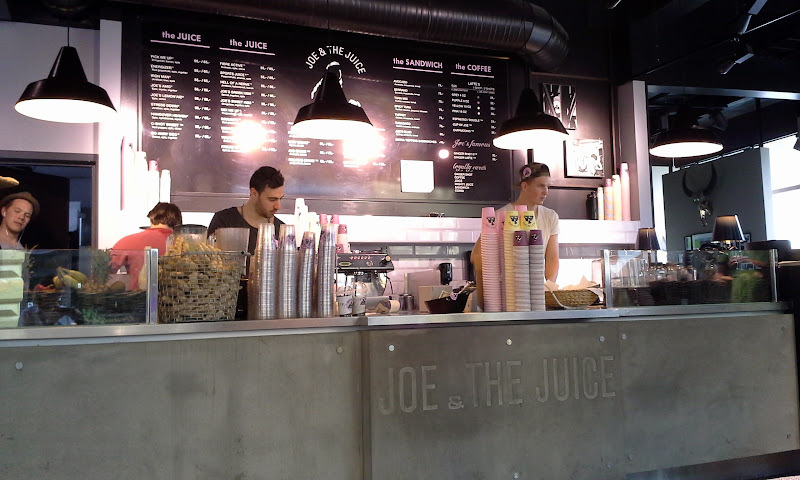 Joe & the Juice is another great chain in Oslo that has great coffee. They also have really excellent juices, if you’re into that. 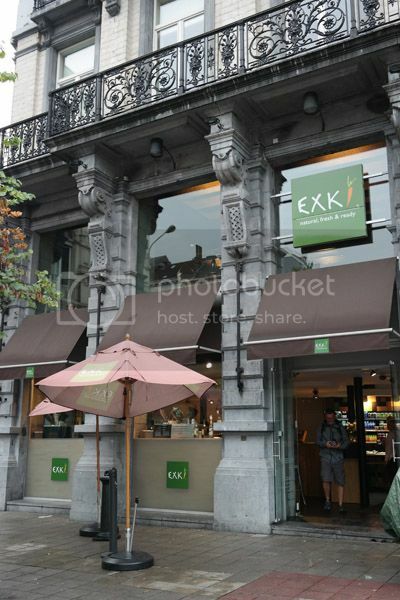 The location that we visited several time is the one at Lille Grensen (Karl Johans gate 25). You will pass it as you walk towards the Palace, but it is tucked back a little – so keep an eye out for it as you walk! Another important thing to know about this place is that they open at 7 a.m. on weekdays but not until 10 a.m. on weekends! Now, if you do go here, then do yourself a favor and do NOT just order a regular coffee or latte. Instead, get a ginger latte. I know what you’re thinking – freshly grated ginger root in a latte does not really sound like something that would taste good in your jokehole. Well, the joke is on you, my friend! Here’s the thing – the ginger is not as strong of a flavor as you might expect it to be. It is just a nice, light gingery undertone among that typical smooth Norwegian coffee. I really only have one bad thing to say about the ginger latte here – the cup size for it is TOO SMALL! If you check out the photo of our drinks, the smaller coffee cup is the ginger latte and the larger is a big regular latte. Prices here are typical Norwegian coffee shop prices, which means that it is rather pricey if your base is American dollars. 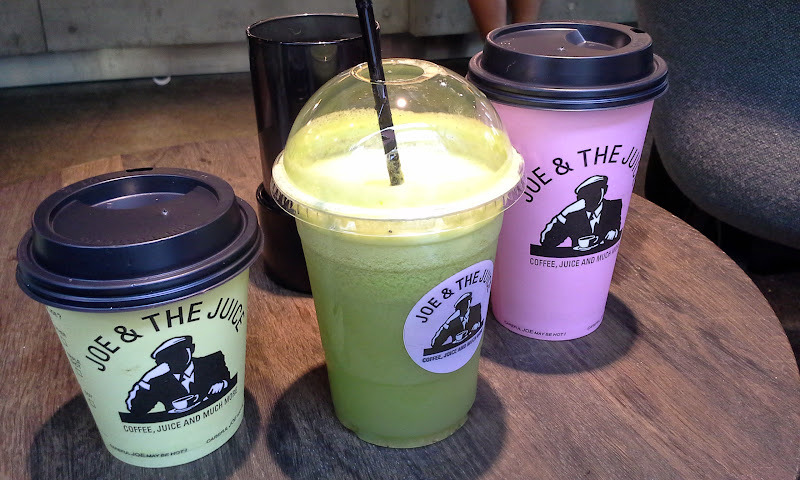 For two ginger lattes and two of the juices, it ended up costing us around the equivalent of $30 USD – but it was so worth it. In fact, when we head back to Oslo for the weekend, we will be indulging in some of the tasty beverages here yet again.